Let It Go: Dark matter may trigger supercooled water to freeze. Do You Wanna Build a Snowball Chamber? It’s not often that physicists take inspiration from Disney musicals when designing new experiments, but a team hell-bent on detecting dark matter says it did just that. To find dark matter — that’s the elusive, invisible stuff that makes up most of the matter in the universe — scientists have built gigantic apparatuses, probed deep underground, and tiny floating beads. Now, apparently, they’re turning to kids’ movies as well. 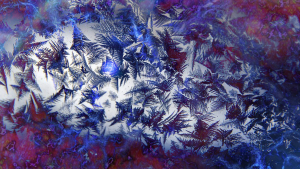 The idea is to look for particle-sized bits of ice in small bubbles of supercooled water. Szydagis is looking for dark matter using supercooled water, which can be kept as a liquid beneath water’s usual freezing temperature as long as it’s in a vacuum-sealed container. He presented his work, first shared online last year, at an American Physical Society meeting on Sunday. In particular, Szydagis’ team learned that neutrons cause supercooled water to freeze when they collide with it, leading the scientists to speculate that they may have a new way to detect dark matter, which is thought to share similarities with neutrons. They haven’t spotted any dark matter yet, as their particular research was only intended to show that a supercooled water chamber could work as a subatomic particle detector at all. But future projects may use their design in a real search for the stuff.